Book Ferries in the Canary Islands with AFerry.co.uk - Gran Canaria, Tenerife, Fuerteventura and more! 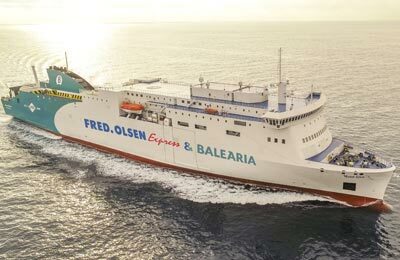 You can use AFerry to book a Fred Olsen Express ferry to almost all the major destinations including Corralejo, Agaete, Los Cristianos and more. You will find Fred Olsen Express ferries offer a world-class service no matter how long or short your ferry journey is including bars, cafés and children's play area. 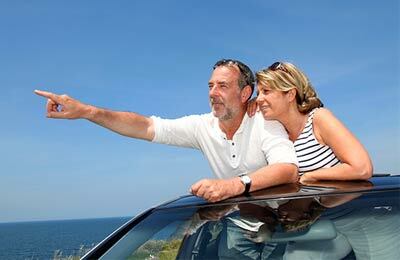 AFerry.co.uk always has cheap prices for Fred Olsen Express ferries and the latest special offers. See below for the latest Fred Olsen ferries prices and sailing times. Click on your ferry route for a detailed Fred Olsen Express timetable. 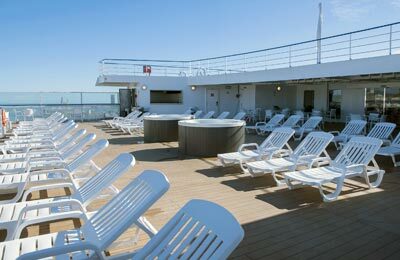 You will find all Fred Olsen ships have a bar and café on board where you can order from a wide selection of food and drinks. If you're travelling with your children, Fred Olsen Express ships give you the chance to take a break by letting your kids play in the children's play area where the little ones will find a ball park and swing space. On board, you'll also find a TV zone with satellite television. Please note that foot passengers can bring up to 20kg per person of luggage. You can take your luggage with you on the ship or you can take advantage of Fred Olsen's locker system. Here, for a nominal fee you can securely store your luggage from the moment you board until you disembark. How long before departure should I arrive for Fred Olsen Ferries? Great Ferry for crossing between Fuerteventura and Lanzarote with car and passengers, safe, efficient and comfortable. Plenty of sailings per day to choose from, great service. An excellent way of seeing good bit of La Gomera while been in fresh air rather than stuck in bus. We see the ferry every day from Playa Blanca and finally decided to try it.It was effortless and the crew and staff made it so. We couldn't believe how good it was from driving on to driving off. Absolutely A1 and we promise we won't leave it for 2 years before we use Fred Olson again!